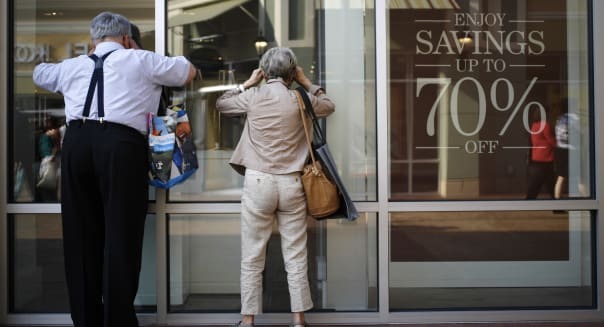 WASHINGTON -- Consumer spending rose for a fifth straight month in June, but a moderation in price increases suggested the Federal Reserve won't raise interest rates anytime soon. The Commerce Department said Friday consumer spending increased 0.4 percent after rising by an upwardly revised 0.3 percent in May. The data was included in Wednesday's gross domestic product report, which showed the economy expanded at a 4 percent annual pace in the second quarter after shrinking at a 2.1 percent rate in the January-March period. A price index for consumer spending rose 0.2 percent after advancing 0.3 percent in May. In the 12 months through June, the personal consumption expenditures price index rose 1.6 percent. It had increased 1.7 percent in May. Excluding food and energy, prices edged up 0.1 percent after gaining 0.2 percent the prior month. The so-called core PCE price index is the Federal Reserve's preferred inflation measure. It increased 1.5 percent from a year ago, still below the Fed's 2 percent target, after rising by the same margin in May.